The 2016-2017 school year was Cañon Exploratory School's 5th, and the staff and students experienced many celebrations along the way. To begin, CES earned a School Performance Framework score increase of 13 points, coupled with better than state average student growth in the key academic areas of ELA and mathematics. Additionally, students experiencing poverty grew at an exceptional 72nd percentile rate in math! In fact, Cañon Exploratory Middle School achievement on state tests was the highest of all district schools based on spring 2016 results. As has always been the case at CES, success isn’t solely measured in numbers. The staff's consistent approach to whole child education emphasizes tangible project based learning and real world applications. To that end, the CES staff continued developing and fostering community partnerships. A key component to the CES culture is Glasser’s Choice Theory, and first-year principal Scott Morton helped solidify this by working with staff to craft a clear vision: Empowering life-long learners through relevant exploration, choice, and personal responsibility. 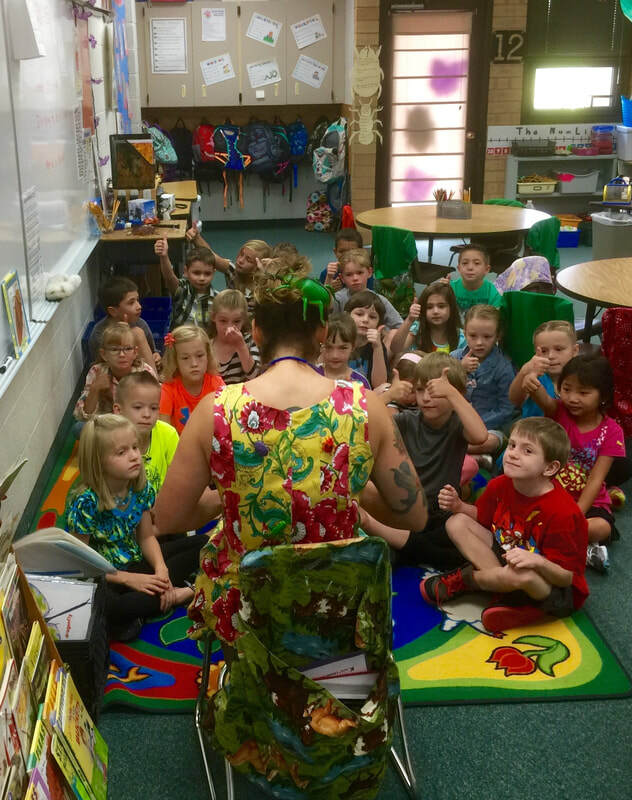 Intimate classroom settings with multi-grade level instruction delivered by master teachers is part of the CES model. Cañon Exploratory students learn in thematic fashion by completing meaningful projects. The Explorer staff also made significant strides last year with the development of an annual building review process. Both school founder Molly Merry and former principal Beth Gaffney contributed significantly to this important work. This hard work ensured the CES evaluation reflects effective practice in all the things that make the school unique. We look forward to continuing the use of this practice to help provide feedback and guidance for staff. CES continues to enjoy the strong support of an active Parent Teacher Organization. Their consistent hard work and generosity helped support the school’s K-8 one to one device program, as well as many field trips CES students experienced, a key component of exploratory learning. They also supported teachers through the purchase of important science lab components, bought CES t-shirts so new staff and students could exhibit their Explorer Pride and fulfilled teacher requests to supplement necessary classroom resources. In keeping with the family-like atmosphere, the PTO also initiated a CES Cares program which provides a backpack of food for families in need on a weekly basis. 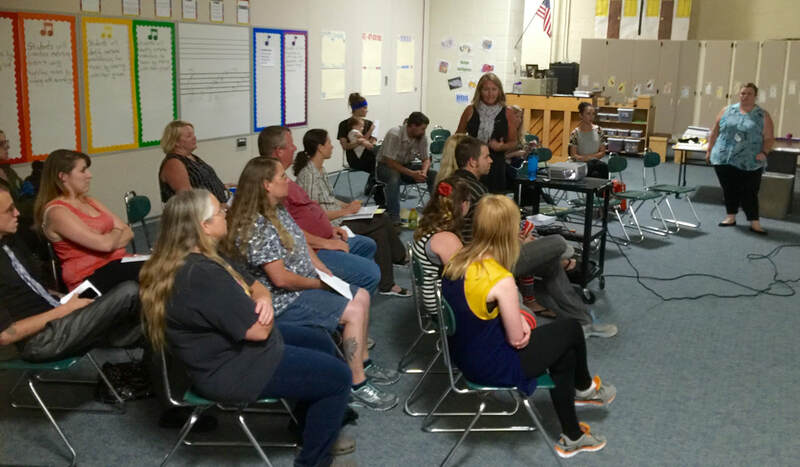 Key to the success of the Cañon Exploratory model is parent engagement and involvement. Each year parents are invited to school to learn about how to effectively partner in their child's learning experience. -Provide matching money to allow the district to access a grant it has already received to repair roofs, upgrade water delivery systems, remodel restrooms, replace windows, and increase the safety access to CES, CHS, Harrison, McKinley, and Lincoln. -Pay off Mountain View Core Knowledge Charter School's $1.3 million building loan so their board can allocate the dollars it currently spends on this annually toward instruction and/or to provide matching funds so they can receive future facility repair and upgrade grant dollars. -Provide matching dollars for the purpose of securing a grant that would pay 67% of the cost of constructing a new Washington Elementary facility on its current property. -Provide matching dollars for the purpose of securing a grant that would pay 67% of the cost of constructing a new Cañon City Middle School facility on its current property. The most difficult decision the board has had to make is what solution to pursue to improve the learning environment for students at Cañon City Middle School. 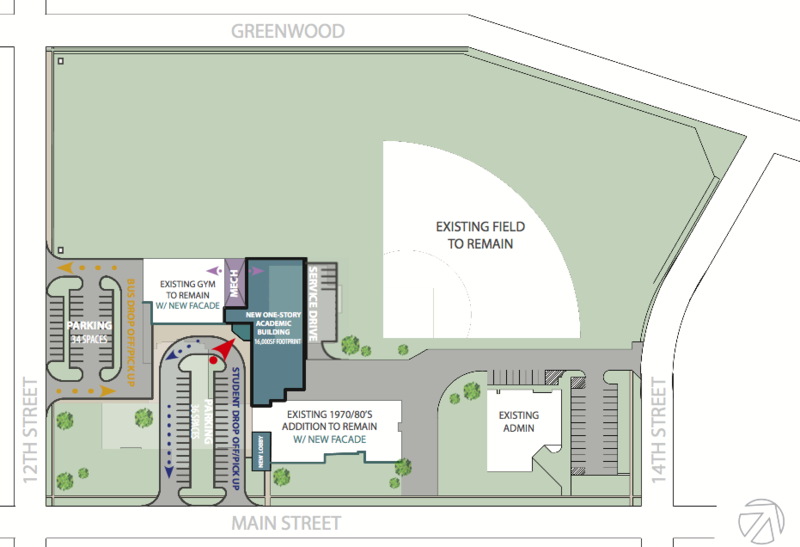 Option 1: Construction of an entirely new school on the northeast corner of the current property, demolishing all parts of the school except for the original 1925 portion, and mothballing that facility for undetermined future use because of the high cost to remodel or repurpose it. At a total cost of nearly $35 million, this is the most expensive option. However, by securing a BEST grant Canon City taxpayers would only need to pay 32% of this cost. Option 2: Tear down all portions of the current facility except for the 1980s gym and build a replacement classroom facility that would attach to the gym. This option would cost just under $25 million. However, by securing a BEST grant Canon City taxpayers would only need to pay 32% of this cost. Option 3: Tear down the 1925 and Vocational portions of the facility and build a replacement structure that would connect to the 1970s/80s classroom wing with the gymnasium. This option would cost around $22.5 million. However, by securing a BEST grant Canon City taxpayers would only need to pay 32% of this cost. The board of education will make a final decision about this at its August 28th meeting. When a final plan is agreed upon, payment of the costs related to the project will be referred the district's voters. We invite community members to engage the board of education at its August 14th and 28th meetings, and I want to personally invite anyone interested in touring our facilities in person to contact us at the administration office at 101 North 14th Street, or by calling 719-276-5700 for an appointment. 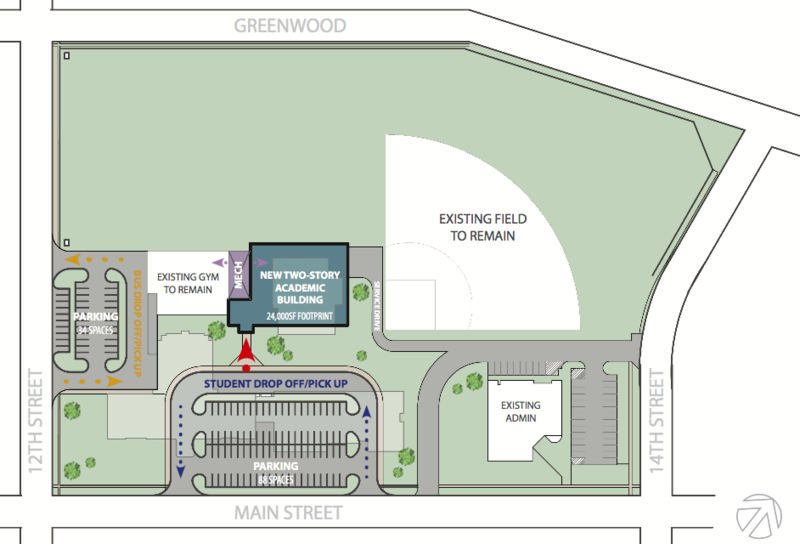 Option 1 would build a new school on the northeast corner of the property. 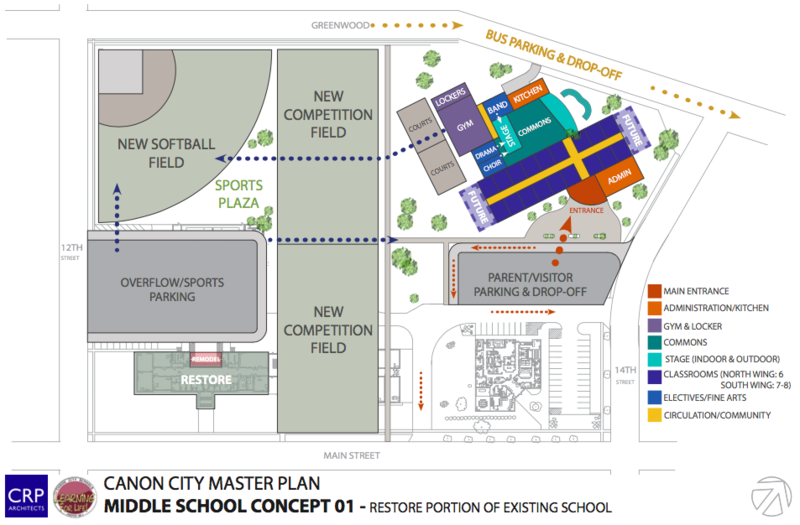 Option 2 builds a new school where the vocational building is, and tears down all other parts. Option 3 makes use of the gym and current 7th-8th grade wing. Last week I put together videos showing the concerns we have about our facilities at Washington Elementary and Canon City Middle School. I had the honor of presenting our district mission to a cadre of new teachers. I also worked with Director of Instruction Adam Hartman revising our policy related to how students progress from one grade level to another. We held a SAC meeting, I touched base with Adam Hartman, the Canon City Police Department, and CCESPA leaders. I also conducted a leadership team meeting and attended a Building Bridges for Quality Canon City Schools meeting to share information about our possible bond and mill levy override questions. 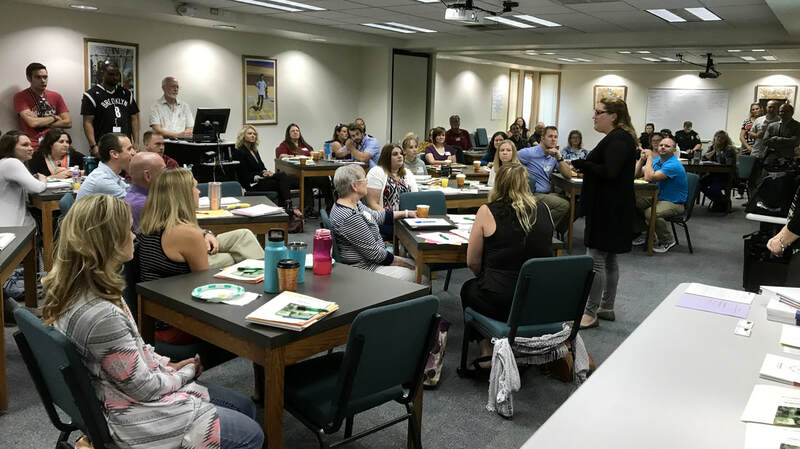 Last week we oriented more than 30 new teachers to work in the district. My to-do list for this week includes preparing for and presenting at our all-staff gathering, addressing some of the recent changes we have made at Canon Online, attending our Monday board meeting and work session, touching base with Director of Special Services Lynnette Steinhoff, meeting with Fremont County DHS Director Steve Clifton and RE-2 Superintendent Rhonda Roberts, and attending a number of back to school ice cream social events. Thank for listening once again!